Like many other days, today is a great day to go for a run, whether it’s part of your regular routine or you’re just taking this first tentative steps. 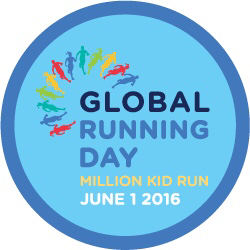 Today is also #GlobalRunningDay, and you will be joking millions of other people around the globe who appreciate (not necessarily like) running. To all you marathon and beyond runners (Ray Zahab, Barkley Marathon participants and planners), you speedsters (Canadian marathon & 10K champ Lanni Marchant), you seasoned and newbie runners alike, I salute you and the effort you make as a runner. Today isn’t about running further than everybody else; rather it is about celebrating the joys of running. ← I am a Triathlete!